This is not a get rich quick scheme. It’s about building a quality list of subscribers interested in what you have to offer, rather than just building a high quantity of email addresses. It’s about creating a relationship with your subscribers for years to come. The key is the more you serve your customers, the more they will respond to you in the future. Do you own a mailing List that’s not Converting? Solo Ads is one of the top ways to get email subscribers into your marketing list. Most newbies don’t realize that the main difference between someone that is successful and someone who is not, is a mailing list built from solo advertising. Building your list with responsive leads from Solo Ads is the easiest way to get traffic that leads directly to sales and is how you can build a list fast. I have created a video course to show you how to build a quality list of subscribers using solo ads and also how to get a list that will convert. 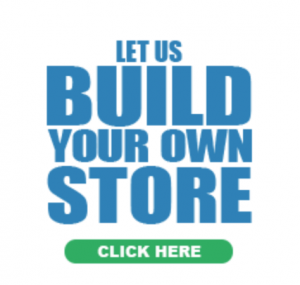 Yes – You can build a profitable list from solo ads. But not all lists are created equal. Not all lists will produce quality results, so here are three important factors to consider. Finding a list owner who’s emailed their list too many times, that it has diluted their list. The list is sick of receiving emails of low value that when you make an offer you are positioned with the reputation as ‘bad‘ just by association. If you don’t know how to look for a list owner who has not diluted their list, then you have already set yourself up for failure. Finding a list that is outdated. It’s good to know how old the leads are and how interested they have been in prior solo ads that have been sent out. Finding a list unrelated to the topic of the initial offer. Obviously, in order to get more people to sign up on your list when you do a solo ad campaign, you need to make sure that your initial offer is something of value. In other words, you want to make sure that it is something that people really, want. You may not realize this, but your initial offer is what will position you from here on out and brand your reputation as good ‘quality‘ or ‘bad‘ quality. It will brand you as someone either to be trusted or to be avoided. Of course, there are many other strategies that I will teach you in this video course to help you stand out as someone that offers ‘good quality‘ offers. It’s not about the size, it’s how you use the list. I’ve seen lists of 10,000 convert at less than 1%, whereas lists of 500 at 20-30% outrank them. It all boils down to these three rules and many more factors. Follow it and you’ll get there. Don’t follow it or if you don’t know it exists, then say goodbye to your list growth and conversions. “When you are buying a solo ad you must consider if the vendor is just out to make a few bucks, or is genuine because serious vendors will have fresh email leads being sent to their sales funnels daily. Some of them get 5,000 every day. So they have fresh, responsive leads”. How would you like to know if the solo ad list owner is good or not? What questions should you ask them? How to email your list so they’ll actually buy? Knowing the exact strategies and techniques have been proven to increase sales and with them without making them unsubscribe. 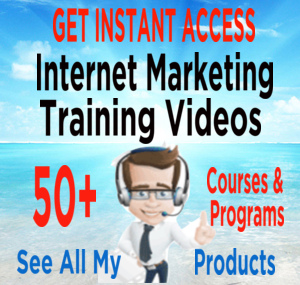 This is a nine-module Video training course exposing the inside secrets to a building a highly profitable list using Solo Ads. Are you finding it difficult to build a responsive email list? Is having a mailing list currently a source of frustration instead of excitement? Are you disappointed with your conversion to buyer rates of your subscriber list? Are you puzzled by solo ads and what it takes to build a highly effective list that buys any offer or recommendation you make? Are you on the brink of tossing in the towel because there are no clear instructions that have been proven to work – a proven method you can follow from beginning to end? If your answer to any one of these questions is yes, then the ‘Solo Ad Wizard‘ video course can immediately eliminate those obstacles in your path and guide you through the process of building, converting and following up with a list so you can quickly be on your way to making sales consistently without losing subscribers or experiencing solo ad nightmares. How much would you expect to pay for information that quite literally could change your life by increasing your earnings and show you exactly how to build a quality subscriber list in a very short period of time? By just spending a little money and following the right advice you no longer need to wait patiently while you list grows organically, you can fast track your results by getting this video training course. So, hundreds of dollars would not be unreasonable considering how much time you will save and what you can make as an affiliate marketer these days! “But relax you won’t have to pay anywhere near that much for this Video Course. I won’t ask you to spend a lot of money. I know what it’s like to struggle to build a list that works and I want to help you and also I want you to buy from me again sometime. 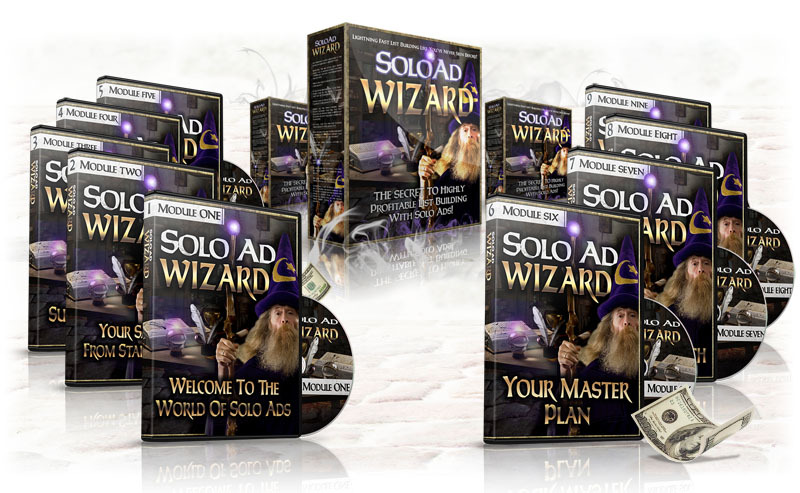 Yes, for a small investment $67.00 ($17)* you’ll be able to get access to all nine videos that make up this Solo Ads Wizard course. And in case you have any lingering doubts whatsoever, I will make it foolproof for you. So, I completely guarantee my video course to your complete satisfaction. Not just for 30 days. But for an entire 60 days. If these course doesn’t make you, money and teach you something new, I will refund you, every cent, no questions asked. That’s it! Go ahead and click here to change your life for the better! *There is an optional $10 upsell to increase your Open & Click-rates using cloud technology that is offered after you purchase. That I have used successfully, very recently and can recommend to you for the make money online niche is; www.kaygambrell.com/soloads I often get 86.3% – 93.6% top tier traffic and a lot of bonus clicks as well. She provides a great service and prices start @$65 for 100 clicks. NOTE: “Of course ‘opens’ and quality of traffic doesn’t automatically result in sales and signups because you also need to provide quality content and an incentive for people to want what you are offering”. Below is a video promo. of one of my successful list building book that I am promoting in this post. 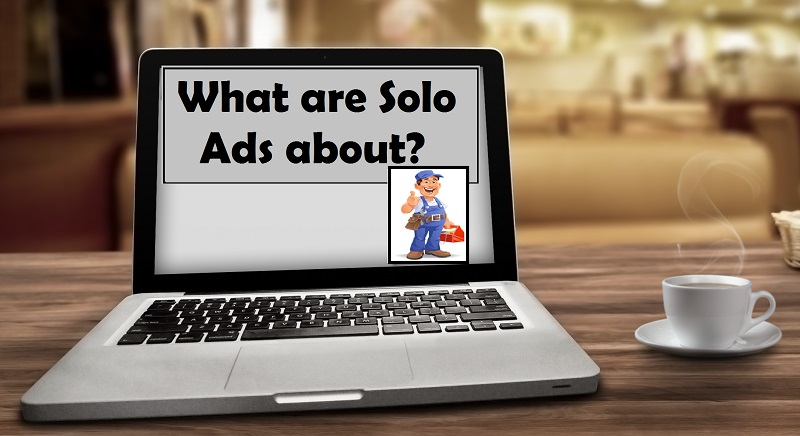 If you enjoyed this post “What are Solo Ads About” please feel free to share socially or leave a comment below. Without a strong list, you won’t have a stable source of future online income”. Check out my 300+ “How To” Video tutorials for learning all those how to do things you want to know about online marketing. Thank you for the information Peter. Solo Ads sounds like a great way to improve my knowledge, allowing me to work smarter not harder. I am thinking between the 9 videos and the eBook, I should get a good start building my business in a solid manner with minimal “expense per sale”. Wow, Solo ads is exactly what I am searching for to convert visitors to a list. I keep hearing that the money is in the list. I fully appreciate that and I see it over and over again. But I haven’t super successful at converting. It is so true what you have said about building a quality list. I’ve tried list building in the past and it was ineffective for me because I didn’t know how to grow or nurture the list. Solo ads seem to be a great way to build a list or even make sales from a list. I’m also glad that you point out how building a list is not a get rich scheme. It takes time and effort to build a quality email list. Great post! Good information about solo ads. A lot of people can learn from the basic of how to make money by this method and your site is well put together. Generating revenue for a website is something that everyone tries to do and you pinpoint it well for someone who is wanting to do this on their own site. Good job and keep it up. This is a great site with a lot of valuable information. The format of your website is very easy to follow and understand. I really like the idea of lifetime commissions. I could really benefit from that. I will definitely bookmark your site for future information. Good luck to you in the future. wow! petervcrisp you have a great website here. I will be refering to it now while Im building my own site. you have so much relative information and have compiled it so it will be useful to even the novice like myself. I think you have hit on something that I didnt really realize I needed to make money online. thanks so much. I had not thought about a solo ad. Now that I have seen and read your reviews of this product I know I need it. When you have just started a new site, at what point should you start considering building a list? In my case I have little time to work on my site and I add one page or post per week at best. Still a very new site. Is it worth looking at building a list for a new site? What would be the minimum requirement for a site before considering list building? Thanks for your very detailed information on this. I find myself really confused as there is so many different sites out there commenting about mailing lists and solo ads. 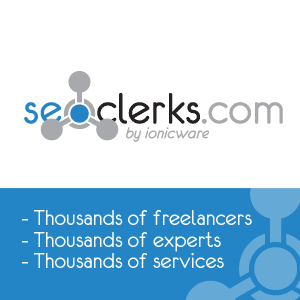 Do you have any recommendations about current and real solo ad mailing list providers? My site is not anywhere near the stage of creating a great mailing list yet, and any provider of mailing lists I find turns out to be a dud. Peter, you did a great job developing your website. One of the best I have seen here on WA. When I have more time I will dig deep into your content so I can learn more on internet marketing which I myself am trying to do too. You provide plenty of good content and great visuals. Thanks again. Sometimes I find that I’m going in all different directions with this stuff. I know I need to create a converting email list and it is so hard to get people to sign up for my newsletters even when I offer a free ebook or whatever. I’m going to look into solo ads a bit more and then come back to purchase your course. 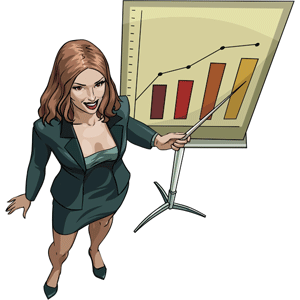 I could always use the extra information and ways to make myself better at online marketing. Thank you! Thanks for a great article. I actually have an online business and I need to start collecting email addresses and putting a list together. It’s been on the back of my mind for a few weeks and I know it doesn’t take much to setup, but I keep getting distracted with other duties and article writing on my site. After reading your article it reminded me I need to get focused and get working on putting things into play on list building. Contacting a solo ad list owner is a good way to build a list up fast. I hadn’t thought of that. Your tips were insightful and I will put them to use right away. I wondered about how to build a quality list. Traffic to a website is one thing, buyers are another. It looks like solo-ads are the way to get that quality list. This article opens my eyes and your video course is very reasonable. I know how to build a site / choose a niche etc. Now I need traffic, quality traffic. Cool, I’ve never heard about solo-ads before. I guess there a lot of ways you could approach these situations. I definitely will create an online business. There are so many things to keep in mind when doing this. I’m trying to learn as much as possible each. Your post have definitely been informative on this subject, and I thank you for increasing my knowledge. Good job, and keep it up! 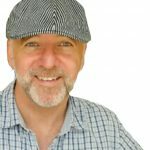 Very interesting and something I MUST get cracking a head with is list building and really stop delaying it. However, I am not in the make money online niche and that seems to be where most of the solo ad sellers are. 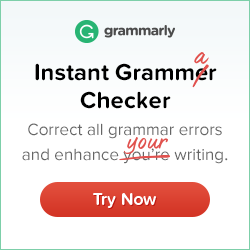 Where and how would I best go about finding more targeted solo ad sellers related to my niche to help me to build a quality list? I’ve just begun getting into affiliate marketing this past month. I’ve bookmarked this page so I can come back to it when I’m ready to start building a list. At what point do you recommend starting a list? Once you have 50-100 hits a day on your site? Or do you recommend trying to build a list from day 1? Hello, Rob. Probably from day 1 because it easy to manage from the beginning and gives you time to develop your systems and funnels. 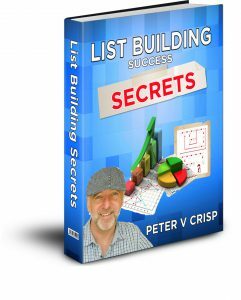 As a Thank your for leaving a comment I will reward you with a free copy of my book; List Building Success Secrets so watch out for it in your inbox. This article is really fantastic I have heard of solo ads before but never really took the time to understand how they work or what can be accomplished by using them. The information you give here is important for people to understand in order for them to build their website properly. For myself I am still building my site and I know when I am ready to get into the email phase I will be back to revisit you information. Hello, Angela. Yes Most people have heard the term, â€œThe Money is in the Listâ€ All the gurus teach it, most marketing forums discuss it and the marketing hall of fame is paved with success stories of list owners sending out an email and raking in more money in one day than most folks make in an entire year. But the most important thing to realize is that list building is only profitable if you focus on building a QUALITY list. Hence my video course to show you how to build a quality list of subscribers using solo ads and also how to get a list that will convert. My eyes just got captivated by the website. Upon going through the site I met things totally new to me anyway but to my advantage of cause. I had never heard about solo ads but I liked learning about them. From the explanation it appears solo ads are therefore the solution to most lonely websites. Great insight indeed and I will personally be engaging you for this! I first heard of solo ads from Ewen Chia. And it’s quite an interesting concept to buy someone to give a shout about your page to their email list. I’ve actually tried it a few times as well. And the number of subscribers rolling in is really nice. Though I haven’t made any sales from them. I’m thinking I may have made some mistakes along the way, as you’ve pointed out in the post. Hello, Anh. Yes,Solo Ads are one of the easiest ways to get email subscribers and sales and Yes, it will cost you some money to buy solo ads, but if you know how to do it â€˜the right wayâ€™ you will actually profit, as well as build a powerful list of hungry customers. Thanks Peter for this great article about solo ads. I learned about solo ads quite early in my online career, but I’ve never actually bought or sold any. There are definitely things you need to watch out for and it behooves anyone to be very careful doing it. Solo Ad Wizard looks like an interesting product — I’ll follow your link and check it out. You are spot on when you talk about the quality of the mailing list that matter and not the size. I actually took out the email sign in pop-up from my website when I realized that most people sign up using pop-up because they want to get to the content that the pop-ups block and are not really interested in sign up because they feel provides them any value. I am still thinking about creating a sign up list that people want to subscribe to and not just have to. This is a really good article especially for people that are just getting started with list building. Hello, Josh Thank you for your comments. Converting a list into money is what takes time but this is where the magic happens. Using Solo Ads speeds up the process by allowing you to capture highly targeted, responsive, and interested potential clients.Quality trumps Quantity every time. If you set yourself up for success and create a proper plan of attack, (which I can show you in my video course), youâ€™ll be that much closer to success.